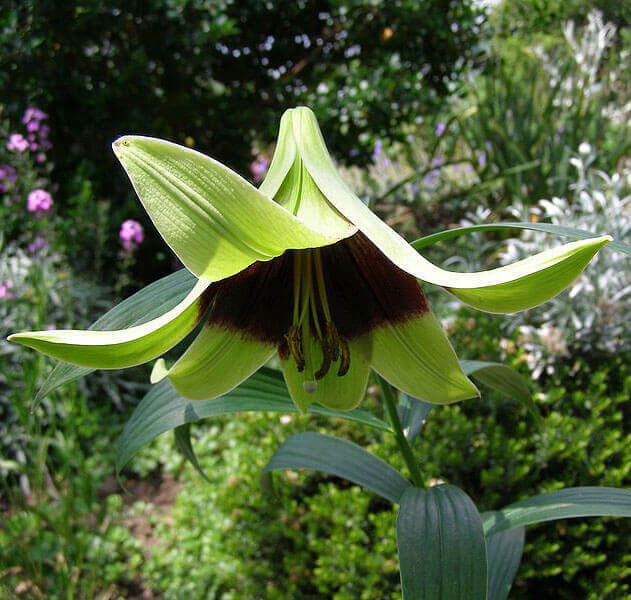 We purchased our first bulbs of this rare bulb about 25 years ago, and have been amazed by it's green flowers with a purple throat ever since. It has the strongest perfume of all lilies. Flower stems are of a wandering form. It will grow from the bulb underground and emerge from the soil up to 30cm away, so be aware during spring cultivation not to damage underground stems. Stems will grow up to 60cm with 2 - 4 gorgeous trumpets.